Carousell announced today that it has received a US$56 million investment from Naspers through its classifieds business arm, OLX Group. Under this deal, Carousell will acquire OLX Philippines, with the mutual goal of serving the Filipino community to buy and sell online with greater ease and flexibility. OLX Philippines is part of OLX Group, and is currently the largest online classifieds site in the country, with over 6 million monthly unique users. As part of this acquisition, Carousell will integrate OLX’s operations and subsidiaries in the Philippines over the year. This integration is expected to be fully completed in the second half of 2019. This deal also gives OLX Group an approximate 10 per cent stake in Carousell. Raffy Montemayor, the general manager of OLX Philippines, will manage Carousell’s operations in the market and lead the transition of its customers to the new platform. This investment from Naspers now values Carousell at over US$550 million. According to Carousell, it has quadrupled in volume globally since inception. In the past two years, Carousell achieved successes in the integration of artificial intelligence (AI) into its platform with the launch of predictive features like smart listings, personalised browsing, chatting experiences, and price suggestion function. “Naspers’ investment will enable us to accelerate the cementing of our leadership in Southeast Asia and our pace of innovation. 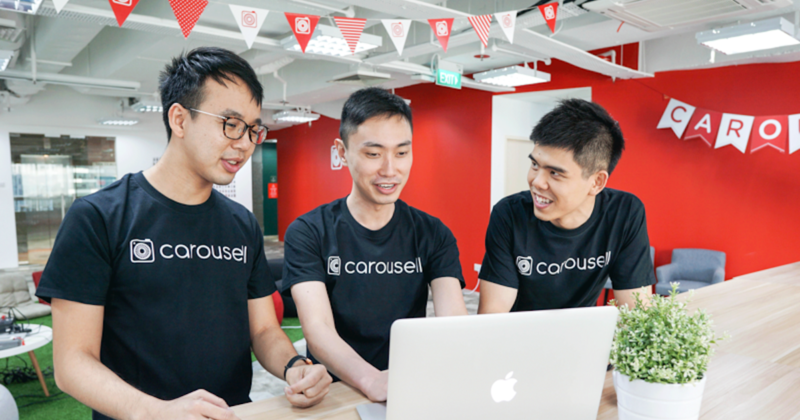 We will continue deepening our expertise in technology and AI to bring greater value, trust and convenience to our users,” said Quek Siu Rui, co-founder and CEO of Carousell.